Investment portfolios around the world are taking a hit as a result of Russian aggression. The exception will be for those individuals heavily invested with a number of commodities particularly oil and natural gas. Stock markets will continue to remain jittery everywhere until there is a resolution to the crisis in Crimea and Ukraine. Many in the West will refuse to recognize the Crimea is already gone and will be annexed to Russia within a couple of weeks. The referendum on March 16, even if illegal and corrupt will merely ratify what we already know. 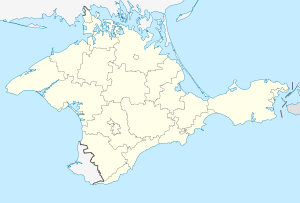 The majority of the population on the Crimean peninsula will wish to join Russia proper. Only a third of the inhabitants there wanted to join Russia just a few years ago but Russian troops are now on the ground. Russia which had legal control of the Crimea until 1954 will not leave because of the importance the area has to their navy and merchant marine. The geopolitical importance of this region to Russia cannot be underestimated. The Americans under the present Administration are unlikely to enact policies that will make the Russians reconsider their seizure of the Crimea. The Europeans are even less likely given their dependence on Russian gas, oil and other trade contacts. 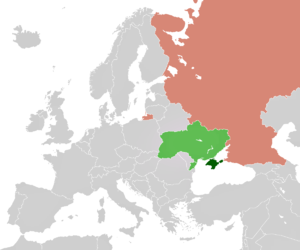 The question therefore in everyone’s mind is will the Russians be content with their take over of Crimea or will they also want to incorporate all the Russian speaking areas of eastern and southern Ukraine. The Russians here like in Crimea had replaced the original populations of Ukrainians and Tartars. The former Soviet leader Stalin had ordered the killing of at least 5 million Ukrainians between 1932 and 1933. The depopulated areas of what is today southern and eastern Ukraine was where Russians were moved to in an attempt at resettlement. The Tartars of Crimea were deported in 1944 by the hundreds of thousands on the flimsy excuse that they had en mass cooperated with the Nazis which was untrue. Tens of thousands died in captivity in the following years. 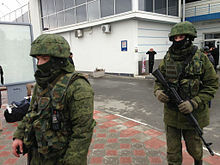 They were replaced in Crimea with Russians. If Russia makes further grabs for territory it will force reluctant Europeans and the Americans to finally take action. It is within their power to destroy the Russian economy but it will come at a cost. The GDP of Russia despite being a member of the G-8 barely qualifies as a modern industrial economy. It is just a bit over 2 trillion USD (1.44 trillion Euros) and represents just 3.25% of the world economy. The size of the economy is equal to that of Italy. However, it must be noted that Italy has a population of 60 million versus Russia with over 142 million. The calls to throw Russia out of the G-8 and the WTO (World Trade Organization) even if done will have limited impact on Russia. The real strength of Europe and the United States will be felt through economic means. The Europeans and Americans through the banking system can refuse to accept Russian rubles. The Russian foreign exchange reserves of 500 billion USD (360 billion Euros) would rapidly decline under these circumstances. 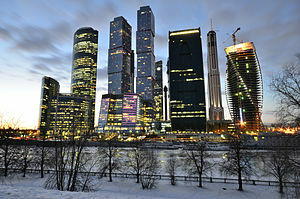 Two way trade between Russia and the United States is only $38 billion USD (27 billion Euros) annually. Trade with Europe comprises over 50% of the total foreign trade of Russia. The majority of that trade (70%) from Russia comprises gas and oil. The majority of those exports are sold in Europe. If the Europeans were willing to cut their ties with Russia it would be painful but they have within their power to take down the Russian economy. If Russia is satisfied with its gains much like a similar grab of territory in the 2008 war with Georgia the crisis will eventually begin to abate. However, the Russians may be unaware that they have already set a few things in motion that will be hard to reverse even if they do not push further into the Ukraine. Resistance to Russia will stiffen in Europe and in the United States. China will also be more wary of any Russian moves in Central Asia and in the East. At the same time the Chinese may become more embolden in their own territorial ambitions in their periphery. Further Russian moves in Europe will be problematic for Germany and other members of the European Community. There will be calls to move NATO ( the North Atlantic Treaty Organization) eastward and former members of the Soviet Union like the Baltic republics will insist on more defensive measures. 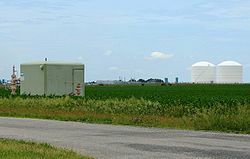 The anti-ballistic sites in Poland and the Czech Republic negotiated under the Bush administration and canceled by the Obama Administration may now be installed after all. Former countries of the Warsaw Pact will insist that NATO beef up its defenses in the East beginning a new re-militarization between West and East. Nations like Poland have no intention of falling under Russian control again. They and other nations of Eastern Europe will demand resistance if Russia attempts to push further westward. As members of NATO that cannot be abandoned like Georgia and now the Ukraine. The only way to give the Europeans real freedom of action is to ween them off Russian energy imports. There will be calls to do this in the United States by using much of the surge in energy production in oil and natural gas to “bail” the Europeans out. The industry leaders of natural gas have always wanted to be able to export the new found supplies because there is an overabundance at present that has begun a downward pressure on prices. Many companies are now operating at a loss because of these declining prices. Oil is factored at a world market price where natural gas is regional. It is easier and cheaper to move gas by pipeline. 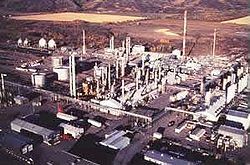 Factories that will liquefy the gas for export will be expensive (about a billion apiece) to build. Companies will be willing to do this only if markets will be guaranteed. In this case the new market will be Europe. The extra cost to manufacture LNG (liquefied natural gas) will be easily absorbed because of the price differentiation between the United States and Europe. The price of MBTU (million British Thermal Units) in Europe is about $11.30 USD (8.15 Euros). In the United States it is only $4.60 USD (3.32 Euros) per MBTU. As a comparison in Japan it is $16.63 USD (11.99 Euros) per MBTU. Once the gas is liquefied it can be sold anywhere on the world market. If the United States government permits the building of these factories as well as the exportation of the LNG it will greatly enrich these energy companies. 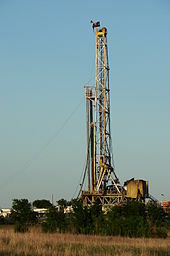 However, it will more than likely double the price of natural gas here in the United States. The cost charged to the consumer would naturally follow those price hikes. The prediction of a Renaissance (rebirth) of American manufacturing because of much cheaper energy may be a bit premature under these circumstances. Production would need to ramp up much higher even if the politics permitted this vast expansion of energy output. Regardless prices would need to rise. If this ends up being the case the place for investors will be in this huge new natural gas industry where rising supplies will not necessarily mean lower prices. Approval of new pipelines and areas of exploration on private and public lands will make this possible. Some of these modifications may need to wait for a change in government in the United States but for Russia the die is cast.